1, headdress. Mainly refers to four weeks with a decorative hair and ear, nose and other parts of the. (3) nose ornaments (mostly nose ring). (4) epaulets (mostly shawls like decorations). 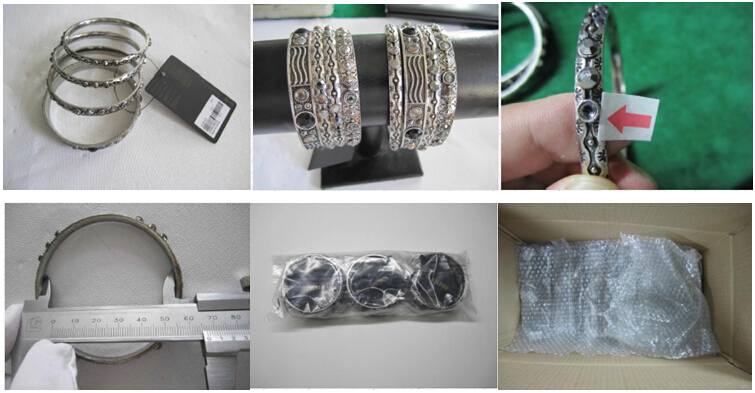 3, jewelry (bracelets, bracelets, armbands, rings, ring, etc.). 4 feet decorated (anklets, anklets, etc.). 1. For the use of special-destructive testing of samples S1-class standard. Acceptable range as follows: Minor shortcomings will be assessed by 2.5 AQL standards. Minor shortcomings are those absolutely no impact on safety issues and product design intent. For example Dirty. Scratch. Outlet. Color. Slightly deformed, packaging and other issues. 2 The main drawback with the assessment criteria AQL 1.5. The main disadvantage is that those that affect product design intent and functional reliability and product safety shortcomings such as independent testing and tensile testing ground is not passed, the actual product features, fade test, paint adhesion, elasticity and so on. 3. Safety shortcomings are not allowed. The disadvantage is the security shortcomings that could cause bodily harm to consumers. All tests and requirements for 16 CFR are considered to be safety related. For example according to CFR1500.51, 52 and 53 listed in batch or other front can lead to hurt, cuts, strains, sprains, bruised and disadvantages of suffocation. 4. All products must exhibit good hand quality. Some of these criteria can be measured, others are subjective judgments on the obvious shortcomings such as lack of materials, material excess, foreign objects, dirt, batch front, improper packaging, etc. are not acceptable.